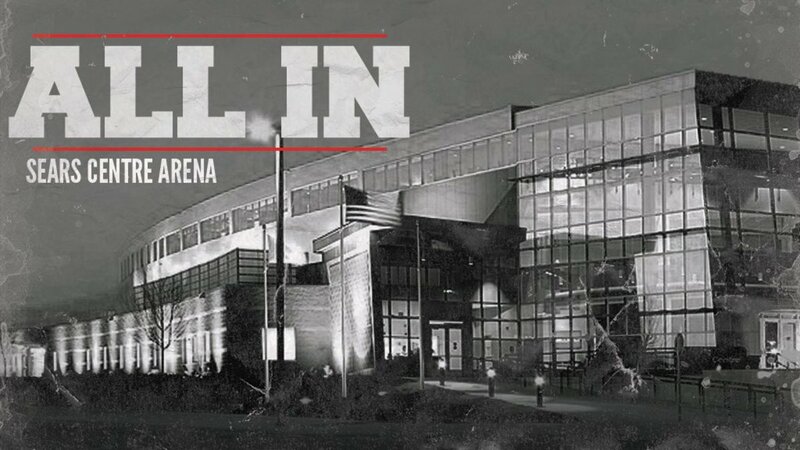 Tickets for the Young Bucks & Cody's All In show on September 1st at the Sears Centre Arena in Hoffman Estates, Illinois, sold out immediately. With all seats open the crowd would legitimately just top 10,000, which would be the first time in United States history where something like that happened for a true independent promotion show, and the first time in 19 years anyone but WWE sold that many tickets to a show in the U.S. I believe Jacques Rougeau has done that a few times for shows in Montreal with his own promotion. We had checked 45 minutes after tickets were put on sale to see what was available and nothing was. One of the organizers said it looked like it sold out in 30 minutes. This is also with a lot of problems as we've been inundated with complaints from people who tried to order tickets right away and had all kinds of problems because of the volume of orders in such a short period of time, similar to what happened with the New Japan show in Long Beach. The sellout was with almost nothing announced on the show but several major names, the biggest being The Young Bucks and Cody, who organized and financed the show, along with Kenny Omega, Kazuchika Okada, and Rey Mysterio Jr.
Cody will challenge for the NWA World Heavyweight title in one of the key matches on the card. Billy Corgan was at the press conference today noting the title would be at sake and Cody said he would challenge. At this point that would be Nick Aldis as champion.